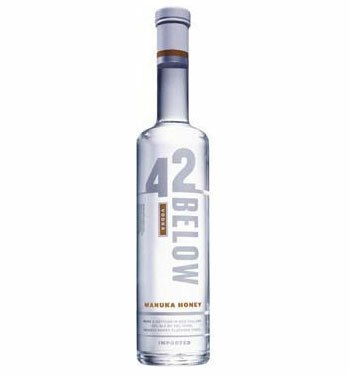 42 Below's manuka honey vodka is made with the purest ingredients. The honey is taken from special beehives placed in New Zealand's manuka tree plantations. Unlike most honeys, manuka is darker and more savoury with oaky flavours and a hint of caramel.